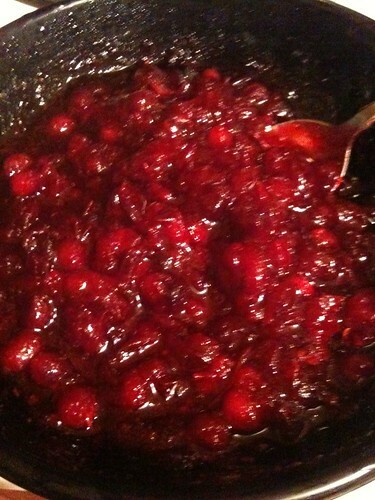 A few weeks ago I read a recipe on my RRS feed for pomegranate cranberry sauce on the Pioneer Woman Cooks. It sounded amazing, and I wanted to try it out before Thanksgiving to see if it was as good as it sounded. When I got around to trying it a few days later, I was too lazy to look up the recipe, so I just followed the directions on the back of the bag of cranberries, substituting pomegranate juice for water, and adding a little lemon juice. The result was absolutely delicious. Once you try this recipe, you might never buy the stuff in a can again. All you need is a bag of fresh cranberries, some pomegranate juice, sugar, and a lemon. I forgot the lemon in the picture because I am like that. Start by adding the pomegranate juice and sugar to a large pot. 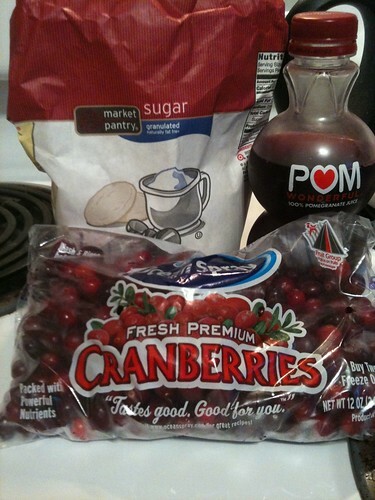 Once all the sugar is dissolved, add the cranberries. then reduce the heat and allow it to cook for 10 minutes, stirring occasionally. Pour the contents into a large bowl, and add the lemon juice. Allow to cool completely to room temperature before refrigerating. Stir before serving, and enjoy. Pour pomegranate juice and sugar into a large pot. Heat, and stir until sugar is completely dissolved. 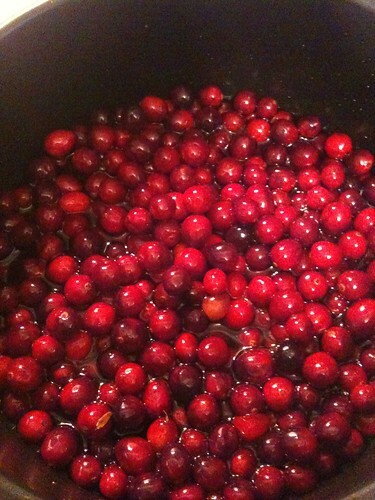 Add cranberries, and bring everything to a boil. 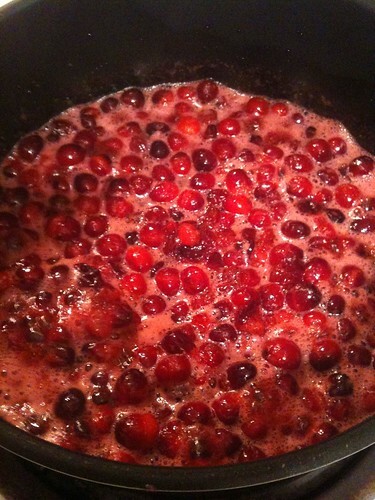 Allow cranberries to cook for 10 minutes, stirring occasionally. 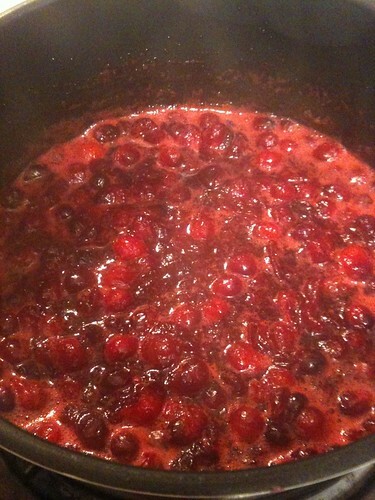 Pour cranberry sauce into a bowl, add lemon juice, and allow to cool to room temperature before refrigerating. Stir before serving, and enjoy. This entry was posted in Cooking, Recipes, vegan, vegetarian and tagged cranberry sauce, pomegranate, Recipe, side dish, Thansgiving, vegan, Vegetarian. Bookmark the permalink. I am so making this! BTW your quick pizza crust saved my lunch a few weeks ago- it really is good. I don’t think I will ever make the high maintenance kind again 🙂 Now if I can just find a quick easy and delicious vegan cheese recipe…..
Let me know what you think once you try it. I’ll be posting a couple vegan recipes this week that I made for Thanksgiving.